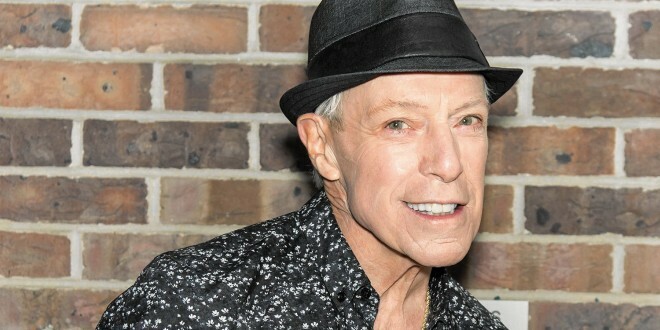 It doesn’t matter if he is on Geator Gold Radio or hosting a show in another state, when Jerry “the Geator with the Heater” Blavat takes a walk down memory lane, he will likely have a story or two to share about growing up in the neighborhood. It doesn’t matter if he is headlining at the Kimmel Center or hosting a radio segment, he never forgets where it all began. On Friday, May 12, Blavat is bringing it back home for a special occasion — A Night with the Geator presented by Liscio’s Bakery at Penns Landing Caterers, 1301 S. Columbus Blvd. Attendees will enjoy a walk down memory lane with stories about the songs Blavat grew up listening to, while teaching his favorite dance moves. The Geator knows them all. The man, after all, was winning Bandstand dance contests at age 13 — contestants were supposed to be 14. By age 14, he was on the dance committee. He would head to West Philly at 3 p.m. following the school day at Southeast Catholic and later Bishop Neumann. Blavat was who picked the music for host Bob Horn to play. Where there is music, the Geator is never too far behind. Like a well-aged wine from the Napa Valley, the Geator is legendary when it comes to the South Philly scene. His face is one of the many famous ones painted on the South Philly Remix Mural at 1532 S. Broad St. that was unveiled last year. Frankie Avalon, Eddie Fisher, Fabian Forte, Bobby Rydell, Al Martino, Chubby Checker, Charlie Gracie, James Darren and Danny Cedrone are the others. While many of them have moved outside the area or passed away, some five-plus decades later, the Geator keeps the party going several nights a week. No matter where the gathering is — Memories in Margate or a St. Monica grade school reunion — don’t expect to stay seated. After all, Blavat, who was a member of Bishop Neumann’s first graduating class in 1958, has been doing this since his teeen-age years when he hosted dance parties at the Dixon House. These days, “Heat Wave” by Martha and the Vandellas remains one of the biggest hits at his events, and it includes a rap that he created to go along with the song. For now, there is no slowing him down. Tickets for A Night with The Geator are $35 in advance ($45 at the door) and include entertainment, as well as a dinner buffet from Penns Landing Caterers. They can be purchased at Penns Landing Caterers, 1301 S. Columbus Blvd., today (May 4) from 1 to 3 p.m. and Wednesday, May 10th from 11 a.m. to 1 p.m. Visit nmg.ticketleap.com/blavat to purchase tickets online.